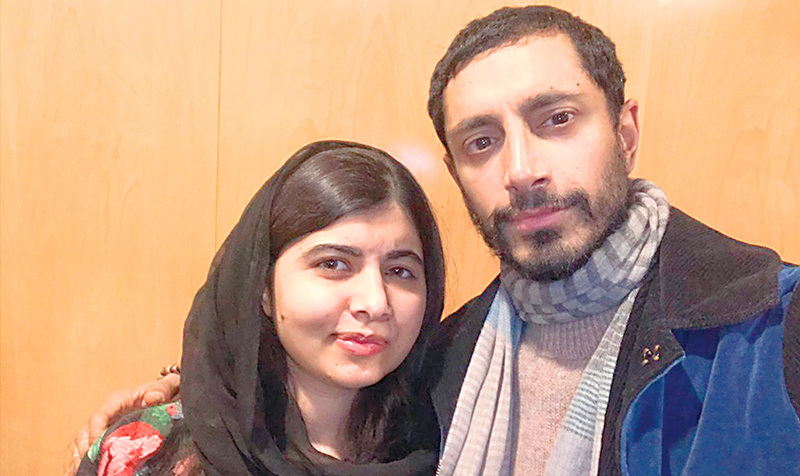 LONDON: British-Pakistani Emmy award winner Riz Ahmed shared a picture with social activist Malala Yousafzai. “From one PPE student to another, I had a great time listening to rizmc speak this weekend,” said Malala Yousafzai with her picture retweeted. Malala is currently studying Philosophy, Politics and Economics at Oxford University and Riz Ahmed graduated with the same degree. Born to British Pakistani family Riz Ahmed is an actor and a rapper. He is best known for his appearance on Rogue One, The Night Of, Four Lions, Nightcrawler, and Venom.